Source: ebook review copy from the publisher through BookLook. If what we think determines who we are, then why are so many of us insecure, depressed, and confused? This is not the condition God has in mind for us. In fact, the Master’s overwhelming desire is to see us full of hope, strength, peace, joy, and love. So where do we go wrong? Someone is running the show in our minds and it’s not us—at least not the real us, nor the real owner. When we lose our identity, we become tossed about on the sea of a million random influences. Between the world, the flesh, and the devil, we don’t know what to think, and therefore our lives are filled with hurt, pain, and regret. Pastor Lance knows first-hand the power that comes from a mind at rest, trusting God’s goodness despite the voices in our head. Jesus died to set us free. He made a way for our souls to be rescued from our enemies. It’s time for us to take back control of our minds, to master them and bring them back in alignment with the Master’s will. 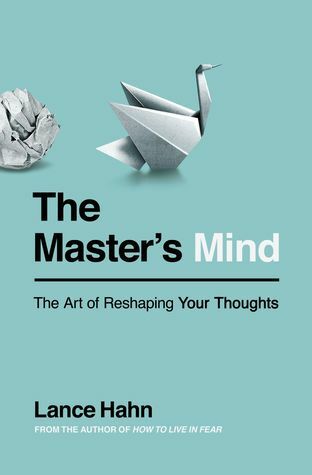 The Master's Mind explores how what we think and believe shapes our behavior. "Transformation always begins in our thoughts." By studying what God teaches us to be true about ourselves and Him and aligning our thoughts to these truths, we will change our emotions and behaviors. The author quoted Scripture or provided Scriptures in the footnotes to support or illustrate his points. He stayed focused (so no filler) and clearly explained his points. Overall, I thought the author did an excellent job of explaining the battle for our minds and how to find victory. He talked about the influences that can lead to wrong thinking and common lies that we believe. If we learn to identify lies and Satan's strategies, then we can reject them and replace them with God's truths and right thinking. Of course, this means that we need to learn God's true and good things to replace them. He talked about temptations to addictions and issues like anger, anxiety, and depression. He also explained how to resist attacks by Satan. The author didn't spend much time on personal stories, but he did provide advice on what helps from people who struggle with depression, anxiety, and such. He suggested practical steps like regularly engaging with a supportive community (especially with those who understand your struggles and can give good advice), daily reading of the Bible to learn the truth of God and thinking about these truths, engaging with God through prayer, and avoiding the situations that usually lead to wrong thoughts or emotions. Don't expect a quick solution. It's a process of learning to make right choices, which makes it easier to make right choices in the future.